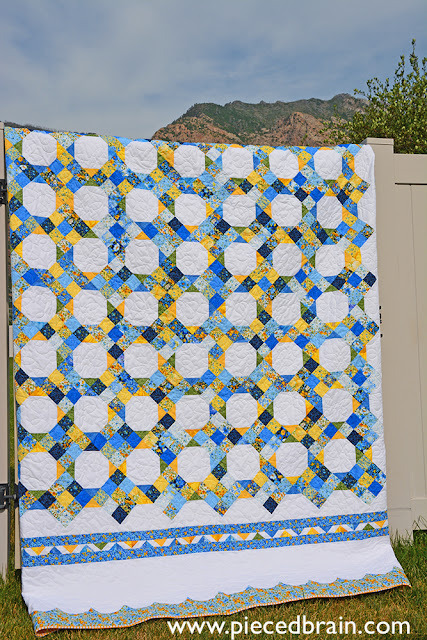 Do you remember earlier this year when I reviewed the book "Sew Charming - Scrappy Quilts from 5" Squares" by Mary Etherington and Connie Tesene? I immediately quadrupled one of the patterns to make a quilt for my bed. 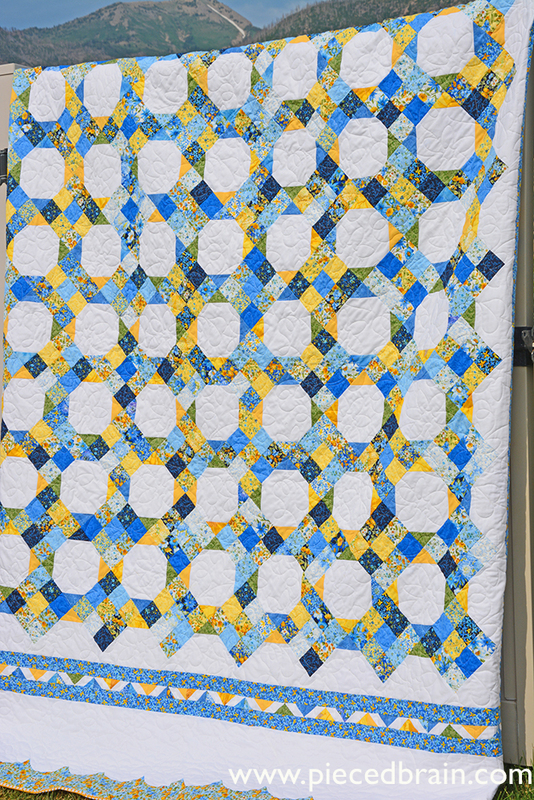 ... and sent it to Melissa from Sew Shabby Quilting so she could work her magic for me. It is so happy and perfect for the warmer temperature. It is huge: 94" x 101". It took me a few hours to hand bind it, and it is now adorning my bed. No photographs of the bedroom as I still need to make (or buy) coordinating pillow shams. It brightens our bedroom, and now I have two quilts for my bed - this one and the flannel one. Thank you! I am very happy with how it turned out! Oh I love this! 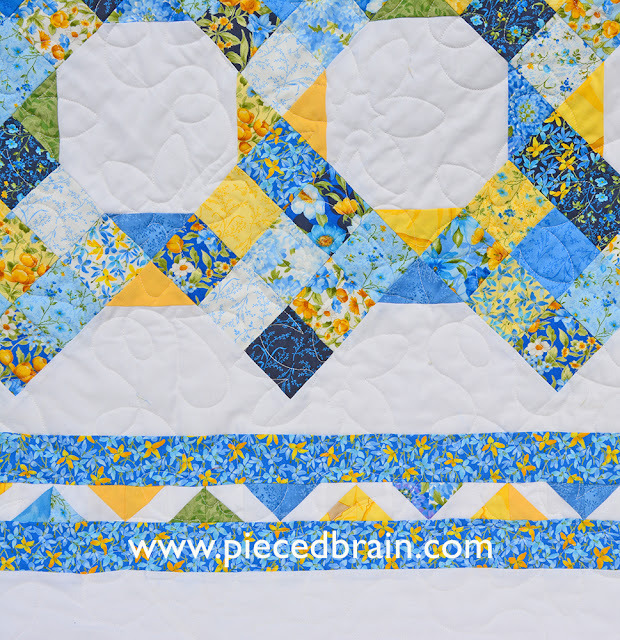 I love the pattern and the fabrics! So lovely quilt. I wouldn't have slept a moment with that beauty in my bedroom. What a cheerful, but elegant looking quilt. Great job! It is fabulous! I am making a nine patch and snowball quilt right now and would have not thought of putting them on the diagonal. 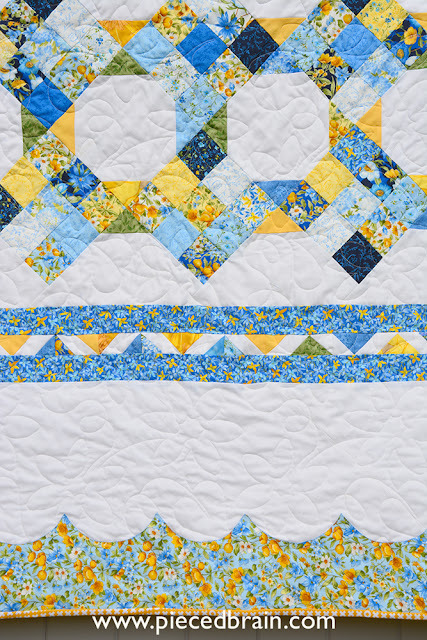 I love yellow and blue together, a soothing combo.